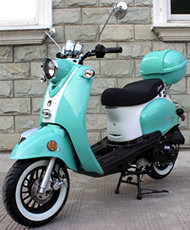 "Thunder 50" Moped Scooter by TAOTAO. 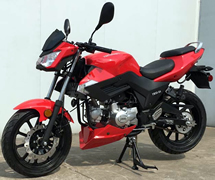 Comes with 12" tires and stylish and polished aluminum rims, Front disc brake, Dual rear shock absorbers, LED lights, New style matching rear trunk, Accelerates to 40 MPH very fast! 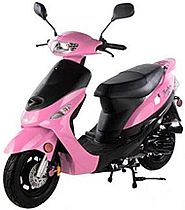 Beemer-50 Moped Scooter has a sporty body shape, a regular drivers license is sufficient to operate this scooter in most States. 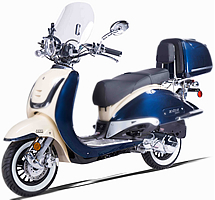 Comes 99% assembled, just put on mirrors, rear trunk, set up battery, gas it up and go! 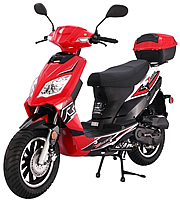 Comes with Remote Starter, Anti-theft Alarm Security System, USB Port, Duro Tires, Very Bright Lighting for visibility day and night.. Its fully automatic transmission and the light weight design make this scooter very easy to operate, safe and fun to ride. Rear trunk included. 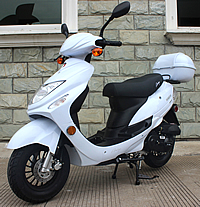 TAOTAO Speedy-50 Moped Scooter (ATM50-A1) has a very stylish body shape, a motorcycle license is not required in most states, a regular drivers license is sufficient. 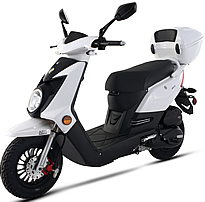 Its fully automatic transmission and the light weight design make this scooter very easy to operate, safe and fun! 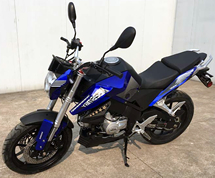 Rear trunk included.